Connie Prince Digital Scrapbooking News: Wacky Wednesday Game, Sales and a FREEBIE! Wacky Wednesday Game, Sales and a FREEBIE! Lets start by playing our weekly game! 1. Head over to page 5 (set it to 50 products) at the Digichick. Look through page 5 for the template packs the templates go to. Today is the last day to get February's template bundle!!! Shop at Gingerscraps, the Digichick and Digital Scrapbooking Studio! 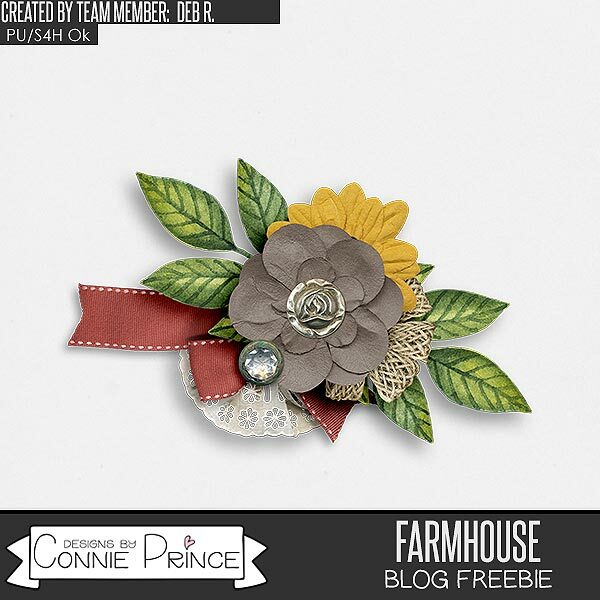 Deb R. made you this awesome cluster freebie using Farmhouse!